What this Agreement Covers. This Agreement, titled “ACELYNK Terms and Conditions of Use,” is in electronic form and constitutes a binding agreement between “End User” (as defined below) and ACELYNK, LLC. By using ACELYNK’s systems and website, whether through an authenticated network, a web-based portal or off-line (the “Services”), you agree to and shall be legally bound by this Agreement. f. “Personal Information” means an End User’s name(s), e-mail address, billing address, mailing address, payment information (such as bank account, or credit card numbers), and password(s) to access the Services. 2. End User’s Account Obligations. a. Once ACELYNK has established your Customer Account and/or Associated Account, you may access the Services. Customer Accounts may be held by only one person, but may have as many Associated Accounts as there are associated End Users. Only the individual for whom such Customer Account or Associated Account was established may access the Services using that account. No other person may access the Services using that account, even if they do so on behalf of that individual. b. Holders of Customer Accounts are fully responsible for any activity that takes place under that Customer Account and all Associated Accounts. Holders of Associated Accounts are fully responsible for any activity that takes place under that Associated Account. c. You must at all times maintain and protect the secrecy of your username and password. For security purposes, ACELYNK may cancel or suspend any username which has not accessed the Services for an extended period of time. If ACELYNK cancels a username, the End User will need to establish a new Customer and/or Associated Account. d. ACELYNK reserves the right to cancel any Customer Account and/or Associated Account that engages in any activity in violation of this Agreement. 3. Additional Obligations While Using the Services. iii. Keep all personally identifying information secure. vi. Resell or redistribute the Services or any part thereof. a. Control and Use of Data. ACELYNK does not control your Data and does not claim ownership over your Data. Consequently, in order for ACELYNK to be able to furnish the Services to you, you hereby grant ACELYNK the right to copy, store, retrieve, display and modify the form of your Data, but solely to the extent necessary to provide you with the Services. b. Non-Infringement of Data. You warrant and represent that ACELYNK’s use of your Data as authorized by you herein does not and will not infringe upon or violate any right of any kind or nature belonging to a third party. c. Non-Compliant Data. ACELYNK reserves the right to remove at any time any of your Data that violates this Agreement or any policy of ACELYNK. d. Backup of Data. It is your sole responsibility to use the Services as instructed and to back up your Data. Upon any cessation, termination or suspension of Services, whether under sections 2.d, 9.d, 10.a or 10.b below, or because you have ceased using the Services, ACELYNK may permanently delete your Data from its servers. Provided that your Customer Account and any Associated Accounts are fully paid up, ACELYNK will, upon your request within ten (10) days of such cessation, termination or suspension of Services, however caused, provide you with a backup of your Data for a fee based on an hourly rate of one hundred fifty dollars ($150.00), with a minimum fee of $450.00 (three times the hourly rate) and a maximum fee of $900.00 (six times the hourly rate). Said fee must be paid prior to delivery of any backup Data to you. a. ACELYNK treats your Personal Information as highly confidential both to you and to our operations. ACELYNK does not sell, trade, rent or furnish your Personal Information to anyone, and we do not partner or enter into business relationships with ad server companies. ACELYNK runs on the Windows Azure platform in data centers managed and operated by Microsoft Global Foundation Services (GFS). These geographically dispersed data centers comply with key industry standards, such as ISO/IEC 27001:2005, for security and reliability. In addition, Windows Azure incorporates security practices at the application and platform layers to enhance security for developers and service administrators. ii. If ACELYNK is sold or transferred to another entity, your Personal Information is likely to be part of the sale or transfer in order to provide you with a continuity of Services. c. From time to time, we may use your address, including your email address, to send you notices or offers about ACELYNK’s services and website. Your use of the Services constitutes your consent to receive such notices from us. a. Definition. As used in this Agreement, “Confidential Information” with respect to ACELYNK means ACELYNK’s system methods and system design, including but not limited to the system “look and feel,” all of which are accessible to End Users but not the general public; and “Confidential Information” with respect to you means your Personal Information and Data. b. Permitted Disclosure. The Party receiving Confidential Information (“Recipient”) from the Party disclosing it (“Discloser”) shall (i) keep Confidential Information in confidence at all times and in perpetuity; (ii) use Confidential Information and reproduce it solely to the extent necessary and sufficient to receive (if you are Recipient) or furnish (if ACELYNK is Recipient) the Services and for no other purpose; and (iii) except as provided in sections 6.g and 6.h below, disclose it only to its employees and representatives (collectively, “Related Persons”) who have a need to know and who are under confidentiality restrictions at least as restrictive as those contained in this Agreement. c. Degree of Care. Recipient shall at all times protect Confidential Information with at least the same degree of care as it normally exercises to protect its own Confidential Information of a similar nature, but no less than a reasonable degree of care. d. Exclusions. The restrictions on the disclosure and use of Confidential Information in this Agreement do not apply to any Confidential Information which: (i) is or becomes lawfully in the public domain by no act or omission on the part of Recipient or its Related Persons; (ii) is publicly disclosed by Discloser; or (iii) Discloser agrees in writing is free of such restrictions. e. Unauthorized or Inadvertent Disclosure. Recipient shall notify Discloser immediately upon discovery of any unauthorized or inadvertent use or disclosure of Confidential Information and shall use diligent efforts to assist Discloser in remedying same, such remedies to include, without limitation, regaining possession of the Confidential Information and preventing further unauthorized or inadvertent use or disclosure. In the event that any unauthorized or inadvertent disclosure of Discloser’s Confidential Information requires notification to third parties, Discloser shall be solely responsible for any expense related thereto. f. Equitable Relief. Recipient acknowledges and agrees that monetary damages might not be a sufficient remedy for any breach or threatened breach of this Agreement by Recipient or its Representatives. Therefore, in addition to any remedies available at law, Discloser shall be entitled to specific performance, injunctive and other equitable relief as remedies for any such breach or threatened breach and, in such event, Recipient hereby waives any requirement for Discloser to secure or post a bond or other undertaking, or to show actual damages in connection with any such equitable relief. g. Required Disclosure. In the event Recipient is required to disclose Confidential Information to a third party under any federal, state or local law, regulation or a valid order issued by a court or governmental agency of competent jurisdiction, Recipient may disclose same on a confidential basis, provided that: (i) Recipient minimizes disclosure to just so much of the Confidential Information as is required; (ii) in the case of disclosure to a court, Recipient notifies Discloser of the underlying proceeding in sufficient time to allow Discloser to obtain an appropriate protective order; and (iii) in any event, the Parties shall each take appropriate steps, including obtaining protective orders, as may be necessary, to minimize the impact of such disclosure while making efforts to cooperate with each other. h. Whistleblower Provision. 18 U.S.C. § 1833(b) provides that “[a]n individual shall not be held criminally or civilly liable under any Federal or State trade secret law for the disclosure of a trade secret that: (A) is made (i) in confidence to a federal, state, or local government official, either directly or indirectly, or to an attorney; and (ii) solely for the purpose of reporting or investigating a suspected violation of law; or (B) is made in a complaint or other document filed in a lawsuit or other proceeding, if such filing is made under seal.” Accordingly, Recipient has the right to disclose in confidence trade secrets to U.S. federal, state, and local government officials, or to an attorney, for the sole purpose of reporting or investigating a suspected violation of law. Recipient also has the right to disclose trade secrets in a document filed in a lawsuit or other proceeding, but only if the filing is made under seal and protected from public disclosure. Nothing in this Agreement is intended to conflict with 18 U.S.C. § 1833(b) or create liability for disclosures of trade secrets that are expressly allowed by 18 U.S.C. § 1833(b). d. Unscheduled maintenance at any time to address Critical Problems and Major Problems (as defined below). a. Critical Problems. “Critical Problems” are those that impede or prevent timely filing of documents that have filing deadlines of 24 hours or fewer. Support for Critical Problems is provided 24 hours per day, 7 days per week. 95% of calls and emails will be responded to within two (2) hours. 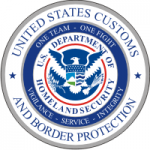 Example of a Critical Problem: a broker or importer is unable to submit its entry to CBP because of system issues. b. Major Problems. “Major Problems” are those that impede or prevent filing of documents that have filing deadlines of more than 24 hours. Support for Major Problems is provided during Normal Business Hours. 85% of calls and emails will be responded to within four (4) business hours. c. Minor Problems. “Minor Problems” include all other issues, problems and inquiries. Support for Minor Problems is provided during Normal Business Hours. 60% calls and emails will be responded to within four (4) business hours. a. Invoices. Holders of Customer Accounts will be billed for all services furnished to that Customer Account and its associated accounts. Invoices will be sent via email in PDF format by the 2nd business day of each month (or at such other time as ACELYNK may determine in its sole discretion) for all transactions and usage during the previous month. We do not provide paper invoices. Payment is due upon receipt of invoice and may be paid by check, ACH, credit card or any other method authorized by ACELYNK in writing. b. Overdue Payments. Any payment not made before the end of the month in which such invoice was rendered is an “Overdue Payment” and subject to overdue payment charges as specified in section9.e below. Note that it is your responsibility to keep current your account information and email address for billing. Not doing so can result in late payment charges and interruption of Services. c. Billing Errors. If you believe we have made an error on your bill, you must notify us within thirty (30) days of the invoice date, specifying the exact nature of the error. Following receipt of your notice, we will make the appropriate determination and any necessary adjustment. d. Refund Policy. In the unlikely event of failure of Services, including without limitation data entries, release alerts, shipment status tracking, GPS tracking, and filing of invoices, your sole remedy shall be to notify us of such failure within twenty four (24) hours of such occurrence, and provided that the occurrence is confirmed by ACELYNK and was not caused by user error or breach of any of your obligations under this Agreement, we will refund the amount charged to your account for the particular transaction in question. e. Overdue Payment Policy. Overdue Payments are subject to an interest charge of one and one-half percent (1.5%) per month, or eighteen percent (18%) per year, provided, however, that if the law of your jurisdiction specifies a lower maximum rate of interest permissible in written contracts, then the foregoing rate shall be deemed such lower rate. ACELYNK shall have the right to lock any account for which payment is overdue. If your account is locked, there is a fee of one hundred fifty dollars ($150.00) to unlock it. a. Modifications. ACELYNK may modify this Agreement by changing, eliminating or adding any term or condition (“Modification(s)”), provided that we shall post the Modifications on our Website at www.acelynk.com/terms-and-conditions at least fifteen (15) days prior to the date on which the Modifications takes effect. Your use of the Services after the effective date of any Modification shall constitute your acceptance of same. If you cease using the Services before the Modification takes effect, you will have no payment obligation to ACELYNK other than to pay for all charges made to your Customer Account and any Associated Account prior to the effective date of the Modification. b. Changes in or Termination of Services. ACELYNK may, in its sole discretion and at any time, with or without cause or notice, do any or all of the following: (i) change the Services; (ii) delete features or functionality; and (iii) terminate or suspend this Agreement or the Services. No change, deletion, termination or suspension shall alter your obligation to ACELYNK to pay all charges made to your Customer Account and any Associated Account prior to such change, deletion, termination or suspension. a. ACELYNK and other marks indicated on our website or Services, together with any logo forms thereof, are trademarks and/or service marks of ACELYNK and may be registered in the United States or in other jurisdictions, including internationally. ACELYNK’s trademarks, service marks and trade dress may not be used in connection with any product or service that is not approved in writing by ACELYNK and/or in any manner that is likely to cause confusion among customers as to the true source or sponsorship of such products or services and/or or in any manner which disparages or discredits ACELYNK. Any trademark or service mark not owned by ACELYNK that appears on our website or Services is the property of its owner who may or may not be affiliated with, connected to, or sponsored by ACELYNK. No association with any company, entity, product, domain name, e-mail address, logo, person, place or event is intended and none may be inferred. b. ACELYNK retains all right, title and interest in and to the Services, including all copyrights, patents, trade secrets, trademarks and other intellectual property rights therein and thereto. This Agreement shall not be deemed to grant or imply any right of any kind or nature to any ACELYNK’s trademarks, trade names, logos, software, system, intellectual property or personal property. a. ACELYNK PROVIDES THE SERVICES “AS IS” TO END USER. b. ACELYNK MAKES NO WARRANTY OF ANY KIND, EXPRESS OR IMPLIED, WITH RESPECT TO THE SERVICES, INCLUDING, WITHOUT LIMITATION, WARRANTIES OF MERCHANTABILITY, QUALITY, FITNESS FOR A PARTICULAR PURPOSE, INTEGRITY OF DATA, TITLE OR NON- INFRINGEMENT OF THIRD-PARTY RIGHTS. c. ACELYNK DOES NOT WARRANT THAT THE SERVICES WILL MEET ALL OF END USER’S REQUIREMENTS, OR THAT THE SERVICES WILL BE UNINTERRUPTED OR ERROR-FREE, OR THAT DEFICIENCIES IN THE SERVICES WILL BE CORRECTED. d. ACELYNK MAKES NO WARRANTY AS TO THE USE OR THE RESULTS OF USE OF THE SERVICES IN TERMS OF THEIR CORRECTNESS, ACCURACY, RELIABILITY OR OTHERWISE. e. NO INFORMATION OR ADVICE, WHETHER ORAL OR WRITTEN, GIVEN BY ACELYNK OR ANY OF ITS EMPLOYEES OR REPRESENTATIVES SHALL CREATE ANY WARRANTY, EXPRESS OR IMPLIED, OR IN ANY WAY ALTER THE SCOPE OF THE LIMITATIONS ON WARRANTIES CONTAINED IN THIS SECTION 12. 13. LIMITATIONS ON ACELYNK’S LIABILITY. a. IN NO EVENT SHALL ACELYNK OR ITS OWNERS, MEMBERS, DIRECTORS, OFFICERS, SHAREHOLDERS, EMPLOYEES, CONTRACTORS, AGENTS AND REPRESENTATIVES (“RELATED PERSONS”) BE LIABLE TO END USER OR ANY THIRD PARTY FOR: ANY COST OF PROCUREMENT OF SUBSTITUTE OR REPLACEMENT SERVICES OR GOODS; LOSS OR CORRUPTION OF DATA; LOSS OF ANTICIPATED SAVINGS, BUSINESS, BUSINESS INFORMATION, CONTRACTS, GOODWILL, PRODUCTION, PROFITS OR REVENUES; WASTED OPPORTUNITY OR WASTED MANAGEMENT AND/OR STAFF TIME; BUSINESS INTERRUPTION; FAILURE TO MEET ANY DUTY, INCLUDING THAT OF GOOD FAITH OR REASONABLE CARE; NEGLIGENCE; LOSSES ARISING OUT OF PERSONAL INJURY OR DEATH; ANY INDIRECT, SPECIAL, REMOTE OR SPECULATIVE DAMAGE; OR ANY OTHER DAMAGE ARISING OUT OF OR RELATED TO THE INSTALLATION, USE, INABILITY TO USE, OR NON-USE OF SERVICES EVEN IF ACELYNK AND ITS RELATED PERSONS HAVE BEEN ADVISED OF THE POSSIBILITY OF SUCH DAMAGE. b. EXCEPT AS OTHERWISE PROVIDED BY APPLICABLE LAW, THE LIABILITY OF ACELYNK AND ITS RELATED PERSONS SHALL BE LIMITED TO DIRECT DAMAGES WHICH, REGARDLESS OF THE LEGAL BASIS FOR THE CLAIM, SHALL NOT EXCEED THE LESSER OF ONE HUNDRED ($100) DOLLARS OR THE FEE PAID BY END USER FOR THE TRANSACTION TO WHICH SUCH DAMAGES RELATE. THE FOREGOING LIMITATIONS SHALL APPLY NOTWITHSTANDING THE FAILURE OF THE ESSENTIAL PURPOSE OF ANY LIMITED REMEDY. 14. Indemnification by End User. End User shall and hereby does indemnify, defend and hold harmless ACELYNK and its Related Persons from and against any and all claims, demands, proceedings or lawsuits, and any and all losses, costs, damages and expenses (including reasonable attorney’s fees, court costs and legal expenses) resulting therefrom or related thereto, which claims, demands, proceedings or lawsuits, arise out of or relate to: (a) End User’s use, inability to use, or non-use of the Services; and (b) any act or omission of End User. a. In the event that an allegedly breaching Party, having received notice of alleged breach, reasonably disputes that there has been a breach, neither Party shall commence any action or proceeding in a court or tribunal unless the dispute in question has first been submitted to mediation. Upon commencement of the mediation process, any statute of limitations regarding any cause of action by one Party against the other shall be tolled until ten (10) days following termination of the mediation process. The foregoing shall not limit ACELYNK’s rights under this Agreement to suspend or termination of its services. b. The procedures of any such mediation and selection of a mediator may be determined upon the mutual agreement of the Parties, but if the Parties are unable to agree after three (3) business days, then either Party shall have the right to initiate such mediation in accordance with JAMS’ or AAA mediation rules. Mediation via JAMS or AAA shall be conducted by a single mediator with experience in the relevant field. Mediation shall, if practicable, be held by video conference. If not practicable, then it shall be held in the jurisdiction of the Party against whom a claim of breach is made. Whether a Party shall bear the costs and expenses of any mediation shall be determined by the mediator and the mediator may award all or part of any Party’s reasonable attorneys’ fees and expenses incurred in connection with the mediation. The Parties shall meet with the mediator for up to four (4) hours in an attempt to settle their dispute. Should either Party disagree with the recommendations of the mediator, or if the Parties otherwise fail to reach an agreement concerning the dispute, then either Party may institute legal proceedings in accordance with paragraph 16.f below. Notwithstanding the foregoing, the Parties shall abide by any award of reasonable attorneys’ fees and expenses made by the mediator. a. Amendments in Writing. No amendment to or modification of this Agreement or any of its terms and conditions shall be valid or binding on the Parties except as provided as provided in section 10 above. b. Assignment. End User may not transfer or assign this Agreement or any of his, her or its rights hereunder, or delegate any of its obligations, whether temporarily or permanently, voluntarily or involuntarily, and whether by merger, consolidation, dissolution, operation of law or any other manner, without ACELYNK’s prior written consent. c. Binding Effect. The rights and benefits of this Agreement shall be binding upon and inure to the benefit of, and be enforceable by the Parties’ respective successors and permitted assigns. d. Enforceability/Severability. If any provision of this Agreement shall be held void, voidable, invalid or inoperative, the remaining provisions of this Agreement shall remain in full force and effect. However, if such void, voidable, invalid or inoperative provision is a material term or condition of this Agreement, the Parties shall supply a substitute provision, negotiated in good faith, which comes closest to their original intent. e. Entire Agreement. This Agreement is the entire agreement between the Parties with respect to the subject matter herein and supersedes all prior or contemporaneous oral or written communications, proposals and representations with respect to said subject matter. f. Governing Law. This Agreement and any dispute or controversy arising out of or related to this Agreement and/or the relationship between the Parties established herein (“Claims”) shall be governed by and construed, interpreted and resolved in accordance with the laws of the State of New York without regard to its choice of law provisions; provided, however, that any procedural or substantive Claim conflicting with or falling under the exclusive jurisdiction of United States federal law shall be governed by, and construed, interpreted and resolved in accordance with United States federal law without regard to its choice of law provisions. All Claims shall be submitted exclusively to the federal and state courts of competent jurisdiction serving the location in which the defendant resides, and the Parties hereby unconditionally and irrevocably consent and submit to such exclusive jurisdiction and venue, and waive any objection they may now or hereafter have with respect thereto. g. Rights of Third Parties. This Agreement shall not be deemed to give any right or remedy to any third party whatsoever.